There are many types of containers available: half wine barrels, plastic pots, glazed clay pots, five gallon buckets or other recycled containers can all work. 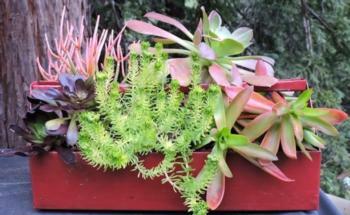 In general you want a pot that will hold soil and moisture but also allow drainage. If your container doesn't have drainage holes, be sure to drill some. 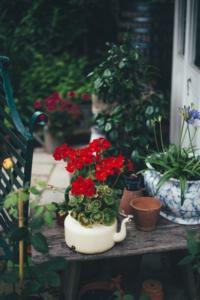 If your pot is large, place it where you want it before filling it with soil, as it will be harder to move once it is planted. Select an appropriately sized pot to allow for plant growth. 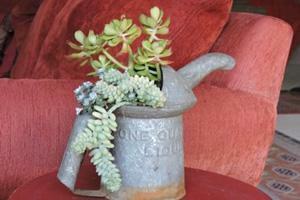 Keep in mind that smaller pots will dry out faster and need more frequent watering. Choose your garden container location based on the cultural needs of the plant you plan to put in the container. Most vegetables need 6-8 hours of sunlight a day, as do a lot of annual and perennial flowers. Some varieties of flowers and foliage don't need as much sun or prefer it to be filtered through trees. If you aren't certain, read about the plant's cultural needs before you choose the location. Drainage is critical for plant success. 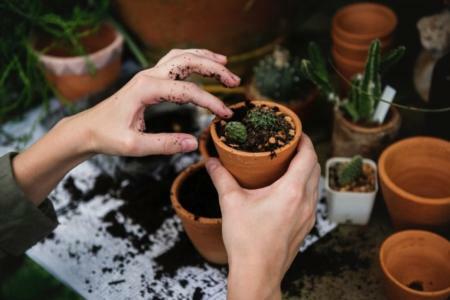 If you’re worried about soil washing out of the bottom of your pot, put a paper coffee filter, a piece of screen, or a shard of pottery over the holes. Make sure the pot will not damage anything when water drains out of it. Irrigation water with fertilizer in it may leave soluble salts in the soil. Allow water to flow freely through the bottom of the pot to help leech out these salts. If you do not choose to include a time-release fertilizer at planting time, apply a water-soluble fertilizer weakly, weekly. Healthy plants attract few pests. For the occasional infestation, spray with water. Slugs and snails can be gathered by hand. Even container plants require some weeding. Regularly clean out fallen leaves and other debris, and follow by an application of mulch, which is functional and looks nice. 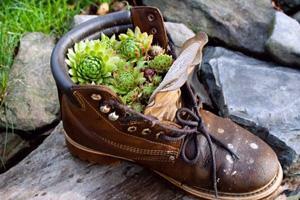 Container gardening encourages experimentation with different plants and combinations that can easily be moved around to beautify your home or deck.